39th CIFF (Guangzhou) Reports a 13.7% Visitor increase. Home > News > 39th CIFF (Guangzhou) Reports a 13.7% Visitor increase. CIFF (Guangzhou), a flagship exhibition held every March in South China, reported excellent results for its 39th edition. Advocating [Better Life, Better Work", the most recent show attracted 3,992 exhibitors and 191,950 professional visitors worldwide, marking a 13.7% increase over the 2016 edition. The number of Chinese visitors, in particular, saw a sharp increase by 23,774. Exerting its power both domestically and abroad, CIFF has strengthened its position as a new engine of both China and the global furniture industry. 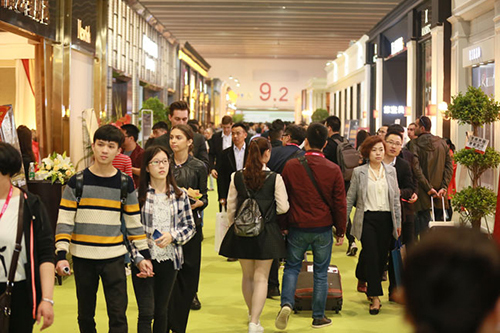 As a high-end trade fair, the 39th CIFF (Guangzhou) offered stylish exhibits, spacious booths, cozy environments and a strong business atmosphere. Regarded as a flagship of furniture fairs, CIFF connects the upstream and downstream industry, covering home furniture, homedecor, hometextile, outdoor furniture, office furniture, commercial furniture, hotel furniture, furniture machinery and raw materials. This year, the Home Furniture section showcased exquisite products under the theme of [Quality Home, Quality Life". The Outdoor & Leisure enabled visitors to [Slow Down and Enjoy the Sun", hosting four concept halls and two crossover shows. Homedecor & Hometextile presented [A World of Decor, A World of Fashion". The Office Show explained the trendy concept of [Smart Office and Green Workplace". Medical & healthcare furniture and public furniture were displayed to meet specified industrial needs. CIFM/interzum guangzhou provided [the ultimate furniture manufacturing solution", creating more convenience for furniture production. This year, countless impressive new products were on display: convertible furniture that switches between work and rest modes, a Sofa that can change into 100 shapes, furnishing art with oriental Zen, desks that adjust height according to voice commands and tailor-made machinery and hardware solutions for furniture manufacturers. More than 200 launches by world-class brands were staged, including internationally renowned brands such as Ashley, Natuzzi, Chateaud`AX, Jonathan Charles, HTL, Manwah, Koda, Lifestyle, White Feathers, Global Views, UTTERMOST, IMA, SCM, Biesse and legget t& platt. Domestic brands also made eye-catching presentation, such as Landbond, Kinwai, city-w, Lichi, Royal, Norya, Kuka, Violino, Steel-land, Aris, Furton, Domo, 3 Sanyaxu, Innovation, Adwin, F.M.Q. Furniture, Sleemon, Eon home, Wayes, Sunpin, Sepsion, Carpenter, Lebetter, Ouevane, Viva Bella, Creative Co-op Home, Jiemei Home, Asia-home, Aomax, Gardenart, Sunon, Saosen, Victory, Cright, Jongtay, Tintan, Logic, Merryfair, Kuoching, UE,eadcom, Hongsheng, Jintian, Nanxing, Yuantian, Lianrou, Xiongyi, Huali, TY-Decor, Sinodecor, DTC, Taiming, SH-ABC, OPK and Sikai. Fashion launches are always the core and the vitality of a trade fair. Through CIFF, the release of new products, new logos, new models, new business philosophies and new production technologies helps furniture brands attract worldwide attention and contribute to brisk sales. Luring 191,950 professional visitors, the 39th CIFF (Guangzhou) provided breathtaking trade experience for exhibitors and visitors. [We are extremely impressed by the visitors not just in quantity, but also quality," exclaimed by most exhibitors. [The show is so crowded." [Our booth is stuffed all the time." [Our staffs don`t even have time to take a break." Three trade matching events took place, where exhibitors met with professional buyers and concluded satisfactory deals. Mr. All Qasem Al Yafeal from the Middle East finalized cooperation with an exhibitor during the matching. He then visited the booth and made an order worth of USD 15 million. Though the world is getting smaller due to information technology, face-to-face conversation and warm handshakes are irreplaceable. This is the unique charm of an exhibition! Besides attractive product launches and effective trade networking, CIFF also hosted brilliant on-site events. Three major initiatives kicked off during the 39th CIFF (Guangzhou). 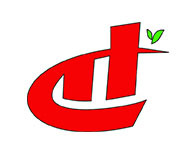 First, CIFF worked with the famous ecommerce platform Tmall to host [The CIFF & Tmall Deco Fashion". With such an unprecedented cooperation embracing [Internet +", quality new products were launched online and offline at the same time. Second, CIFF and the American Society of Furniture Designers (ASFD) co-established [the Pinnacle Awards Asia-Pacific". This innovative move will help [Made in China" to align with the world`s best design and facilitates the entry of winning brands into the US market. Third, the first edition of the China Interiors & Decorations Conference was inaugurated, evoking strong positive reactions in the decoration industry. 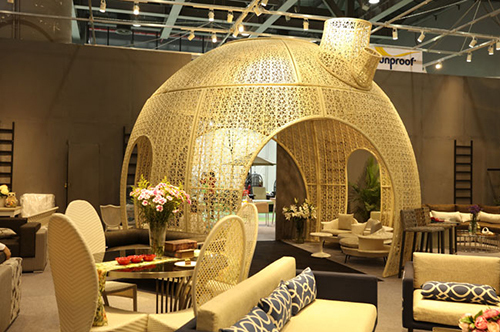 Events such as Global Garden Lifestyle Festival, Design in China (Guangzhou), Guangzhou Design Lecture and Office Environment Theme Pavilion each interpreted industry trends from different angles. CIFF has been and will always keep creating more and more value for the industry! Over the past two decades, CIFF adheres to the principle of prioritizing exhibitors and visitors. While the Guangzhou show this Spring staged a memorable performance, the autumn session in Shanghai will surely impress the world with new highlights and surprises. As a flagship of China`s furniture industry, CIFF is no doubt the preferred and necessary trading platform for the global furniture industry!